25 January 2019 (Toronto, ON) - On January 17th, 2009, elbow played a very special show to an invited audience at the world-famous Abbey Road Studios. Alongside the BBC Concert Orchestra, the band created an orchestral version of ‘The Seldom Seen Kid’, the album that had won them the Mercury Music Prize of 2008, made them household names and has now sold over 1 million copies in the UK. The show marked the start of a landmark year for the band. A week later they were named Best British Band at the BRITS, whilst ‘One Day Like This’ and ‘Grounds For Divorce’ from the album went on to win Ivor Novello Awards for ‘Best Contemporary Song and ‘Best Song Musically and Lyrically’ respectively. 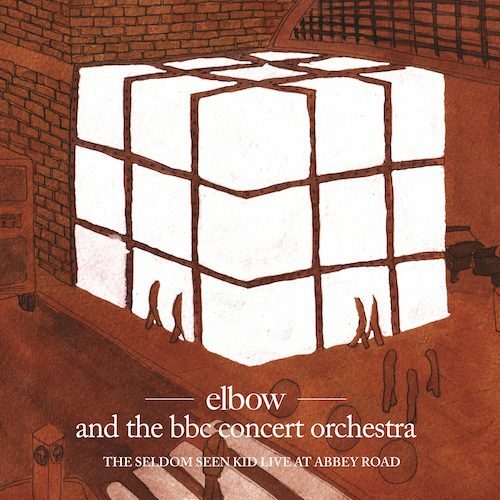 With the previous vinyl version of the album available only as part of the sold-out box set in 2012, elbow will celebrate the tenth anniversary of the performance with the release of a special edition as part of the ‘Mastered at Abbey Road’ series on April 19th. Pre-order the vinyl and stream here. This version of the recording has been remastered from the digital source and cut to vinyl at half speed to ensure the best possible audio quality. It joins a list of classic albums in this series, including The Rolling Stones ‘Exile On Main Street’ and Marvin Gaye’s ‘What’s Going On?’. For the first time ever, the album will also be available on streaming services. Thinking back to the show, elbow’s Guy Garvey has fond memories of a recording he now considers “the definitive version of ‘The Seldom Seen Kid’”.